ALS, also known as Lou Gehrig’s Disease, is a progressive neurodegenerative disease that affects nerve cells in the brain and the spinal cord. Eventually, people with ALS lose the ability to initiate and control muscle movement, which often leads to total paralysis and death within two to five years of diagnosis. There is no cure and only one drug approved by the U.S. Food and Drug Administration (FDA) that modestly extends survival. 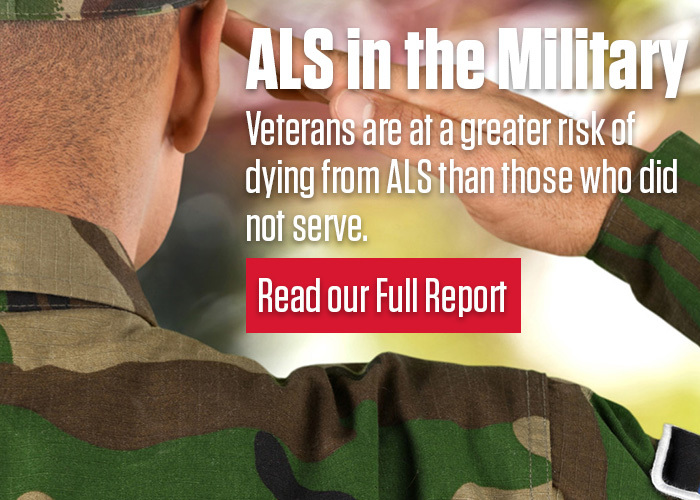 Veterans are approximately twice as likely be diagnosed with the disease.